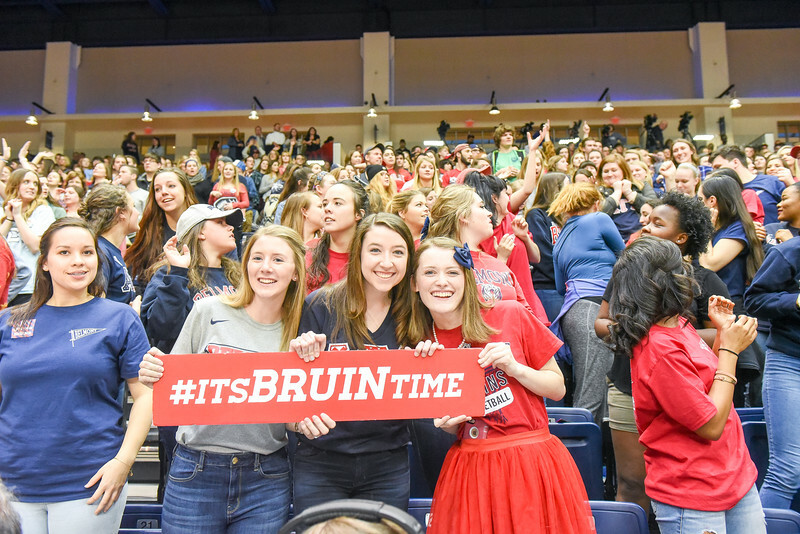 During the month of February and as a part of Homecoming 2019, Belmont will host a Pack the Pantry drive for the Bruin Vets Center. 9:45 a.m.-4 p.m. – College of Law Faculty Scholarship CLE: All College of Law alumni and Belmont undergrad alumni in the law profession are invited to attend this free CLE event. Registration is required and can be completed here. 5-7 p.m. – Massey College of Business Homecoming Mixer: All undergraduate and graduate alumni from the Jack C. Massey College of Business are invited to celebrate and reconnect with area alumni and Belmont business faculty. 7 p.m. – Homecoming in the Round concert in the MasseyPerforming Arts Center (MPAC). The evening will feature alumni songwriters, artists and special guests. The event is FREE, but tickets are required. Get your tickets here or call 615.460.2255. 8:30-10:30 a.m. – Decade Reunion Brunch in Harrington Place Dining, Johnson Center. Alumni from the 70s, 80s, 90s and 2000s are invited to reconnect with fellow alumni. Reservations Required. 9:30-11:30 a.m. – Tower Society Reunion | Annual Brunch & Induction Ceremony:This celebrating the elite group of alumni from Belmont’s 50-year and earlier classes! 11-11:45 a.m. – Parents are invited to stop into the Gabhart Student Center for coffee or hot chocolate and the latest news from Provost Thomas Burns. 11:30 a.m.-12:30 p.m. – Join the Belmont family as we give thanks for our past, the present and pray God’s blessings on our future at Homecoming Prayer and Worship, hosted by University Ministries. 12:30-2:30 p.m. – Tailgate at the Tower at the Tower Plaza. It’s Bruin Time! Everyone is invited to this campus-wide celebration during Homecoming 2019. 12:30-2:30 p.m. – Homecoming Open Houses at various Belmont University icons free of charge. 2:30 p.m. – Homecoming Carillon Concert at the Bell Tower. 8-10 p.m. – Homecoming Social at Chago’s Cantina. Reservations Requested. For a complete list of all Belmont Homecoming 2019 events and an opportunity to register, visit the alumni website.